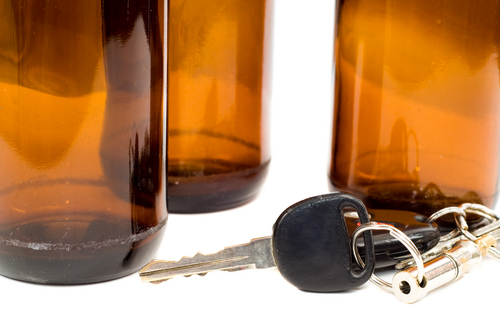 The penalties for multiple DUIs in Colorado are particularly harsh and involve jail time, a driver’s license suspension and additional punishments. When individuals who have been convicted of drunk driving are arrested and charged for a subsequent DUI, the charges are far more serious, as the potential penalties will be far more severe if a conviction is ultimately handed down in the case. In fact, according to Colorado Revised Statutes (CRS 42-4-1301), people with even one prior DUI who are convicted of another alcohol-related traffic offense will have to serve at least 5 to 10 days in jail even if their prior DUI was in another state and even if it occurred as much as 20 years prior. If an individual has two prior DUIs and is convicted of a third offense, the mandatory minimum shoots up to 60 days in jail (with the maximum jail time being up to 1 year). Second DUI conviction – If the second DUI conviction occurs within 5 years of the first DUI, then the individual will likely have his driver’s license suspended for one year. Additionally, he will likely have to have an ignition interlock device installed in his vehicle for at least one year, will have to attend alcohol education classes for at least six months and will have to pay various court fines. Third DUI conviction – The additional penalties for a third DUI conviction are similar to those for a second DUI conviction except for the facts that the driver’s license suspensions are longer (usually 2 to 5 years), the length of ignition interlock device installation is longer (usually 2 years) and the length of alcohol education classes is longer (between 9 and 18 months). The individual refused to submit to a chemical test. The individual is also convicted of a hit-and-run. The DUI involved an accident that resulted in injury (or, worse yet, death).